Gert Jervan is a professor of dependable computer systems at the Department of Computer Systems at Tallinn University of Technology. He is also a Dean at the School of Information Technologies. He has been a coordinator of several national and international research projects, most notably he belonged to the management committee of the Estonian centre of excellence in research CEBE (Centre for Integrated Electronic Systems and Biomedical Engineering) and was a coordinator of the EU FP7 REGPOT project CREDES (Centre of Research Excellence in Dependable Embedded Systems). He has been a local coordinator of several EU networks of excellence and other projects, such as EIE-Surveyor, ELLEIEC, SALEIE, KhAI-ERA, IT.EE and many others. Currently he is one of the PIs of the EU Horizon 2020 projects TUTORIAL (Twinning to Strengthen Tallinn University of Technology’s Research and Innovation Capacity in Nanoelectronics Based Dependable Cyber-Physical Systems) and IMMORTAL (Integrated Modelling, Fault Management, Verification and Reliable Design Environment for Cyber-Physical Systems). He has been serving of the evaluation committees of the Estonian Science Foundation, Estonian Research Council, EC Directorate-General for Research & Innovation. He is regular reviewer for many journals and program committee member of several conferences. He has organized many international workshops and conferences, most recently EWME 2014 and ReCoSoC 2016. 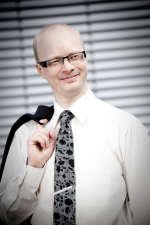 He is also one of the authors of the Strategic Plans of Tallinn University of Technology 2011-2015 and 2016-2020. Up to date CV (incl. publications) from the ETIS database (link opens in a new window). H2020 project TUTORIAL - Twinning to Strengthen Tallinn University of Technology’s Research and Innovation Capacity in Nanoelectronics Based Dependable Cyber-Physical Systems. H2020 project IMMORTAL - Integrated Modelling, Fault Management, Verification and Reliable Design Environment for Cyber-Physical Systems. EU FP7 REGPOT project CREDES (Centre of Research Excellence in Dependable Embedded Systems). Estonian Science Foundation grant: Test and Fault Tolerance of Network-on-Chip Based Systems. 2006-2009. Accepted proposal (pdf). PhD Thesis: Hybrid Built-In Self-Test and Test Generation Techniques for Digital Systems, Linköping University, May 2005, 238 pages. Opponent: Prof. Joao Paulo Teixeira, IST/INSESC-ID, Portugal. Licentiate thesis: High-Level Test Generation and Built-In Self-Test Techniques for Digital Systems, Linköping University, October 2002, 102 pages. Opponent: Prof. Shashi Kumar, Jönköping University, Sweden. Mairo Leier, Scalable Open Platform for Reliable Medical Sensorics (Laiendatav avatud platvorm usaldusväärsete meditsiiniliste sensorite jaoks), PhD 2016. Now with Tallinn University of Technology. Erkki Moorits, Embedded Software Solutions for Development of Marine Navigation Light Systems (Sardtarkvara lahendused valgusnavigatsiooni süsteemide arendusel), PhD 2016. Now with Sabik Marine (Carmanah Technologies). Mihkel Tagel, Fault tolerance and reliability of networks-on-chip (Kiipvõrkude veakindlus ja usaldusväärsus). PhD 2012. Now with TD Baltic. Mairo Leier, Kehalähedase sensorvõrgustiku süsteemi arendus. Südame rütmi jälgimise süsteem (Body Area Network System Development. Heart Rate Monitoring System), 2010. Auli Lepp, Temperatuuri-teadlik testide planeerimine 3D arhitektuuriga kiipidel (Temperature-aware test scheduling for 3D architectures), 2009. Deniss Nikiforov. Automatic generation of task graphs. Tallinn University of Technology, 2008. Vassili Zdanov. Extraction of task-level parallelism. Tallinn University of Technology, 2008. Peeter Mäeker. XY-marsruutimisalgoritmil põhineva kiipvõrgu testimise simulaator (XY-routing algorithm based NoC test simulator). Tallinn University of Technology, 2007. Mihkel Tagel. Deterministlik võrguliikluse generaator kiipvõrgu simulaatorile (Deterministic traffic generator for NoC simulator). Tallinn University of Technology, 2006. Tatjana Shchenova. Energy Minimization for Hybrid BIST in a System-on-Chip Test Environment. Tallinn University of Technology, 2005. Maksim Jenihhin. Test Time Minimization for Hybrid BIST of Systems-on-Chip Tallinn University of Technology, 2003. Yuanhui Sun. Automatic behavioral test generation by using a constraint solver. Linköping University, 2002. Senior member of the IEEE, IEEE Computer Society, IEEE CS Test Technology Technical Council. Chair of the Estonian CS Chapter.